I remember listening to ‘On The Impossible Past’ by The Menzingers in July last year and being instantly struck by how completely brilliant a record it was. I was on holiday in Germany, and that album was the soundtrack to my entire trip, and the soundtrack to many days since. I listened to ‘The Earth Pushed Back’ by Topshelf Records signing Have Mercy, and I was as awestruck as I was when I listened to the latest Menzingers album a year ago for similar reasons, because both are timeless records by the time you finish your first play through. They’re visceral experiences, that take music to another level. Have Mercy have captured emotion in a way that few artists will be able to emulate this year. All 4 members of the band contribute vocally to the album and the perfect mix of heavy and subtle vocals are as passionate as you’re likely to hear this year. Mixing these with deep and complex instrumentals make for a truly exceptional listening experience, which guarantees goosebumps throughout. In terms of vocal work ‘The Earth Pushed Back’ is spot on, with a wide range and diversity in delivery, be it over acoustic songs, simple drum beats or full band performances. The songs themselves are crafted expertly, often starting off slow and basic to finishing on crescendos, with the heavy and soft vocals merging together perfectly, to deliver songs that linger in the memory and stay heavy on the heart. Brian Swindle and Andrew Johnson convey emotion in their singing/shouting and lyrics in a way that very few can. The songs are constructed brilliantly, every instrument complements another, and it makes for a truly dynamic sound that you’ll come back to again and again, and each time be equally impressed. It’s an immersive experience, with each play through resulting in a new discovery, and a new favourite song. ‘The Earth Pushed Back’ is a truly gorgeous sounding record, and words can’t do it justice. Lyrically, it’s very strong, being deep and emotional, poignant and complex and everyone will find some section of lyrics to connect to. ‘The Earth Pushed Back’ doesn’t contain a stand out track and it’s unlikely that you’ll have a solid favourite, because each song is as good as the song that precedes and follows it. It’s a masterpiece. It’s an album that speaks for itself, and stands above the crowd of mediocre, same sounding albums the genre spews out because it makes an audience feel in a way that very few albums from recent memory can. 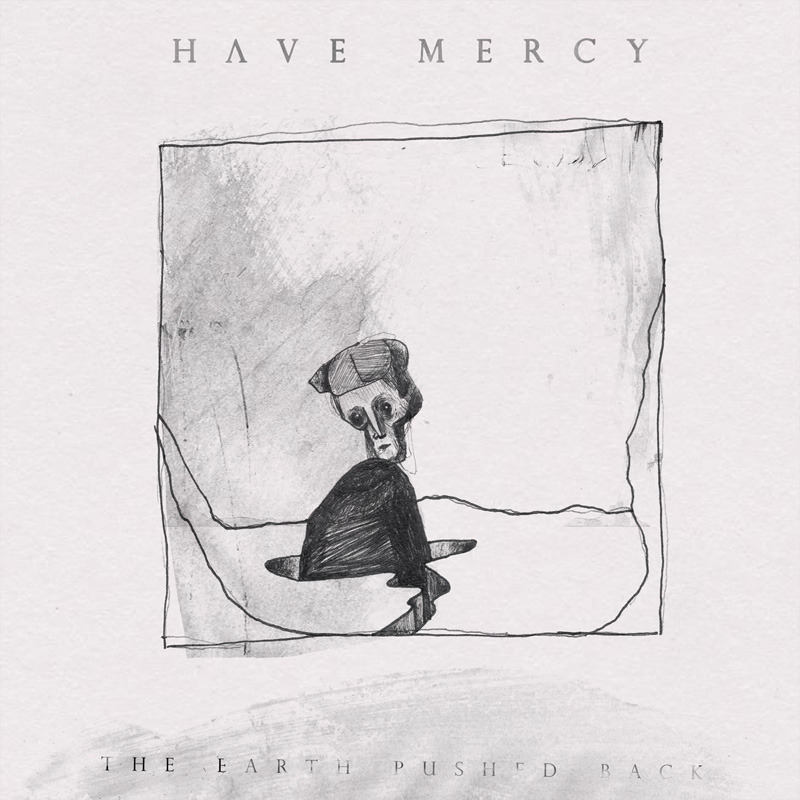 ‘The Earth Pushed Back’ is an album that makes you feel something – it makes you feel alive – and ultimately, that’s what any good form of music should do, and Have Mercy do it ridiculously well. Simply put, ‘The Earth Pushed Back’ is an exceptional album, and the potential album of 2013, or at least a very strong contender. I can’t see many releases coming close to it in turns of quality, and for that reason you should definitely listen to it, because chances are you won’t regret it.